A full program of debates, one each night, featuring Leila Shahid, Michel Warschawski, Dominique Vidal, Hassan Balawi, Christian Chesnot, Esther Benbassa, Jean-Paul Chagnollaud and very special guests Joseph Algazy (picutred here), reputed Haaretz journalist, and Stéphane Hessel, diplomat, ambassador and French resistant. Leila Shahid is the General Delegate of Palestine to the European Union, Belgium and Luxembourg. Dominique Vidal is an historian and journalist, specialist of the Middle-East and of the Israeli-Palestinian conflict. In 2007 he published "Comment Israël expulsa les Palestiniens" (éditions de l'Atelier, Paris) with Sébastien Boussois. The last book he coordinated together with Bertrand Badie is entitled 'Le Grand Tournant : l'Etat du Monde' (La Découverte, 2010, Paris). - films: THE SHOOTER, by Ihab Jadallah, BETHLEEM CHECKPOINT 4AM, by Murad Mohammad Abu Srour, BODIES AND VEILS, by Valérie Malek, FIRST PICTURE...01, by Akram Al Ashqar, JOURNAL D'UNE ORANGE, by Jacqueline Gesta. 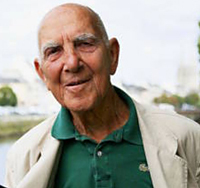 Stéphane Hessel was born in Berlin on October 20, 1917 and obtained French nationality in 1937. He has been a diplomat, ambassador and was a French resistant during World War Two. He took an active part in the drafting of the Human Rights Universal Declaration in 1948. Hassan Balawi used to be a journalist for the Palestinian TV. 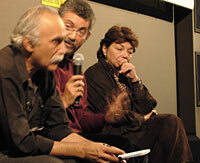 OLP member, he is in charge of communication for the 2009 project "Al-Quds, Capital of Arab Culture". He lives in Paris and wrote with Mickael Prazan "Gaza, dans les coulisses du mouvement national palestinien" (Denoël, Paris). - Films: ALL THAT REMAINS, by Nada El Yassir, RECOGNIZED, by Ori Kleiner. 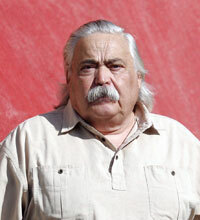 Joseph Algazy was an historian and journalist for the daily newspaper, Haaretz, in Tel Aviv (1989-2004). He taught at the University of Tel Aviv (1976-1983) and then at the Kibbutzim Seminar (Ecole Normale Supérieure) in Tel Aviv, 1983-1997. He was the General Secretary of the Ligue of Human and Citizen Rights in Israel (1976-1990). Esther Benbassa is director at the Ecole Pratique des Hautes Etudes – Sorbonne. Specialist in Jews history and compared history of minorities, she has just published « Etre juif après Gaza » (CNRS éditions). Sonia Dayan-Herzbrun, sociologist, is the author of "Femmes et Politique au Moyen-Orient" (published by L'Harmattan) as well as several other articles examining the role of women in the Middle East and other Islamic countries. Mahatab Mansour is an AFPA technical assistant in Paris and directs documentary films, including Jardin en pierre, Mariages-divorces, and Borget le masque. Christian Chesnot is a journalist for Radio France. While correspondent in Iraq, he was kidnapped along with George Malbrunot in 2003. Nasser Somi, Palestinian painter, he lives in Paris. Jean-Paul Chagnollaud is a political science professor at the University of Cergy Pontoise, and a specialist on the Palestinian issue. He is the chief editor of the review Confluences Méditerranée and director of L'Harmattan's collection "Comprendre le Moyen-Orient". Karim Emile Bitar is Lebanese and lives in Paris. Associate researcher at the IRIS, he is the chief editor of the review L'Ena Hors les Murs. Ahmad Salamatian lives today in Paris where he sought refuge. He used to be State Secretary for Foreign Affairs and Member of Parliament in Iran from 1979 to 1981.